I love sending out snail mail! I know that so few of us get pretty letters or cards in the mail nowadays, so I was really excited to surprise all my friends and family with a Halloween card (since really... not many people send Halloween cards). 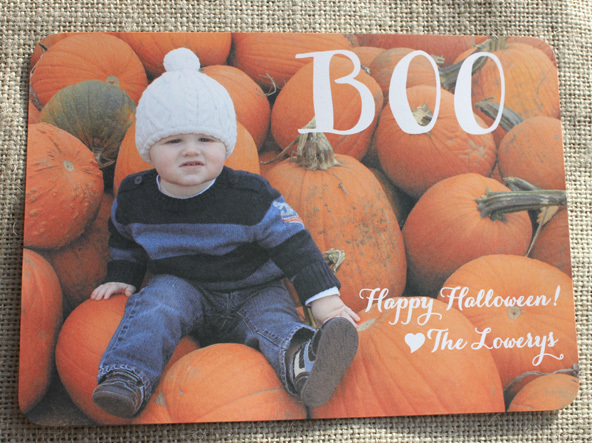 I had so many friends text and email me how much they loved the card. It made me so happy to send them a little Halloween love. 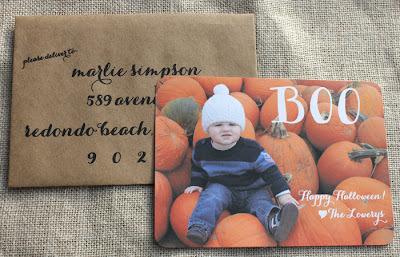 The rounded corners on the cards and kraft envelopes make these cute cards even sweeter.